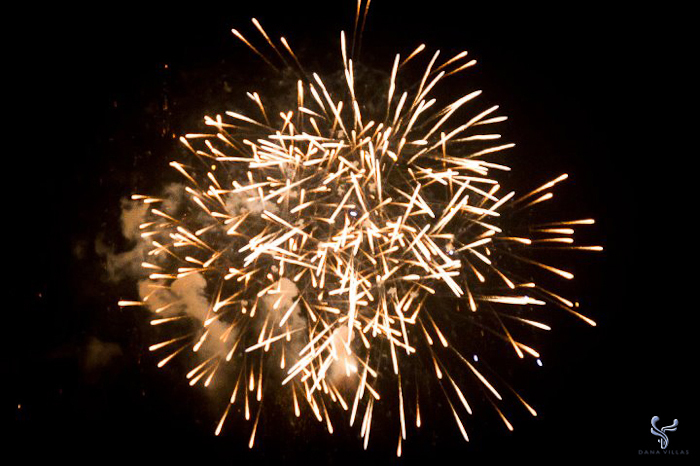 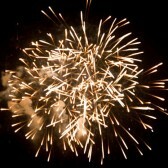 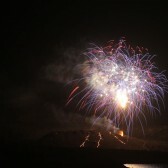 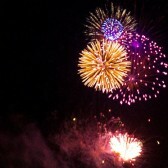 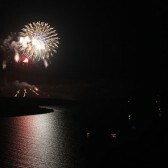 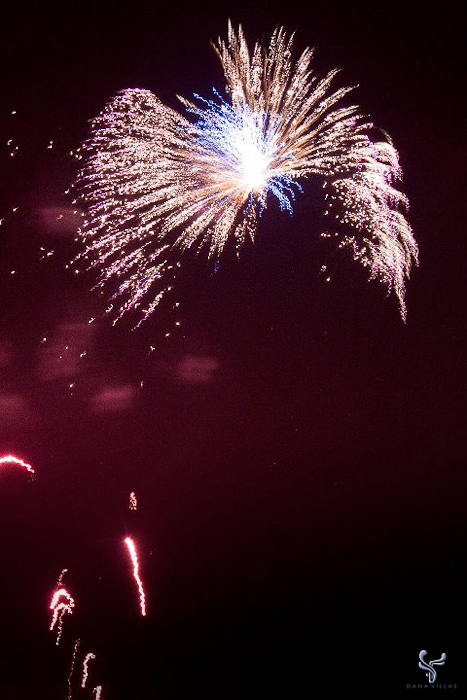 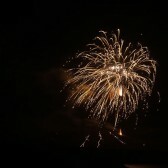 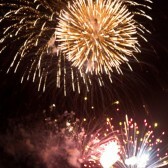 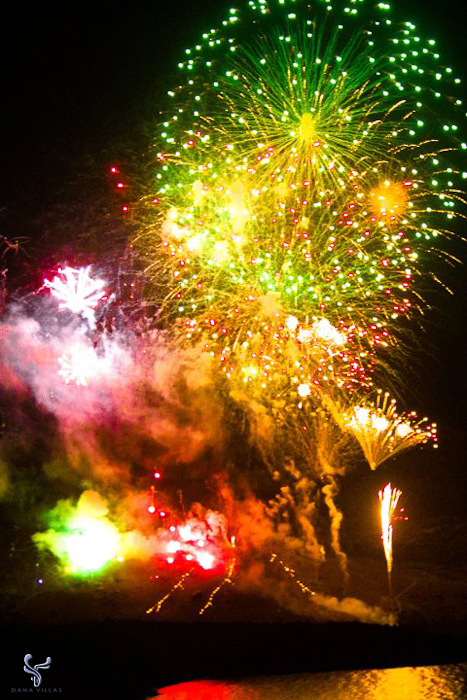 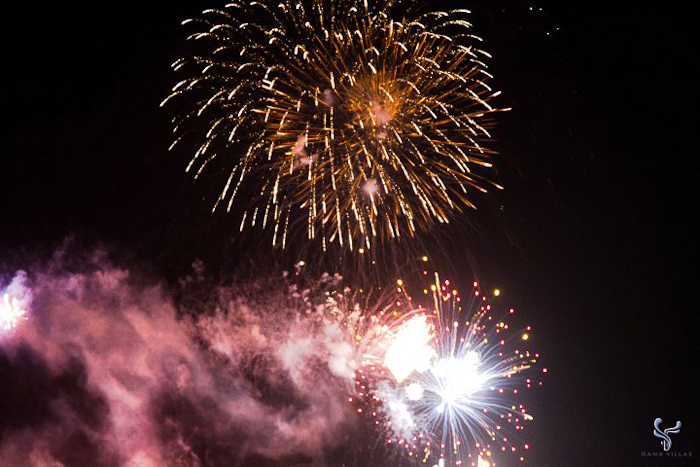 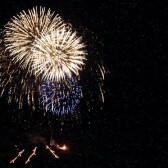 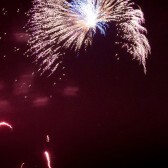 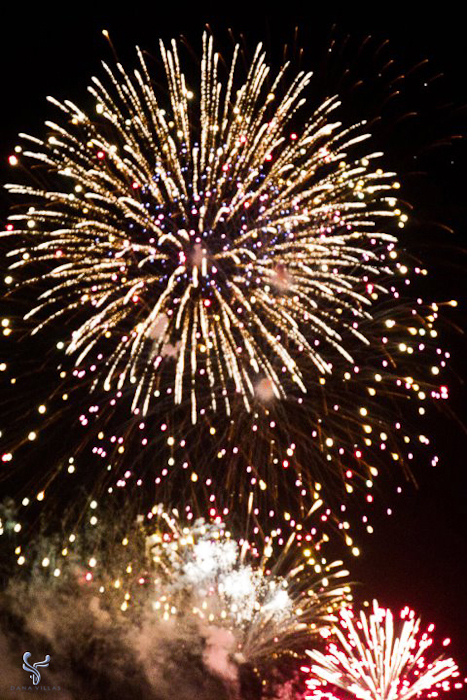 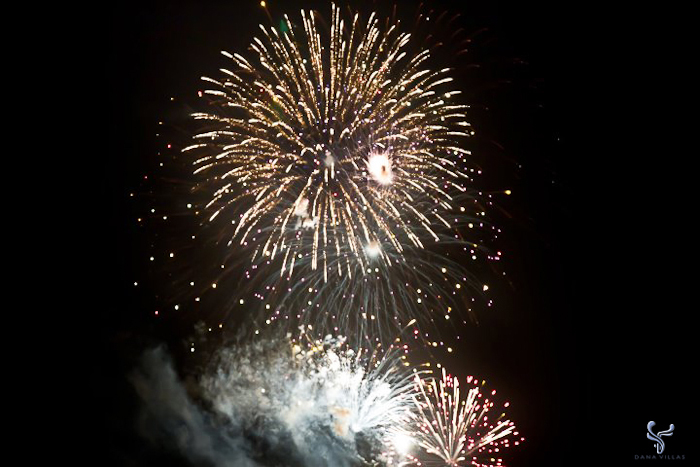 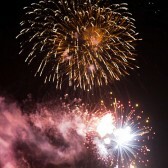 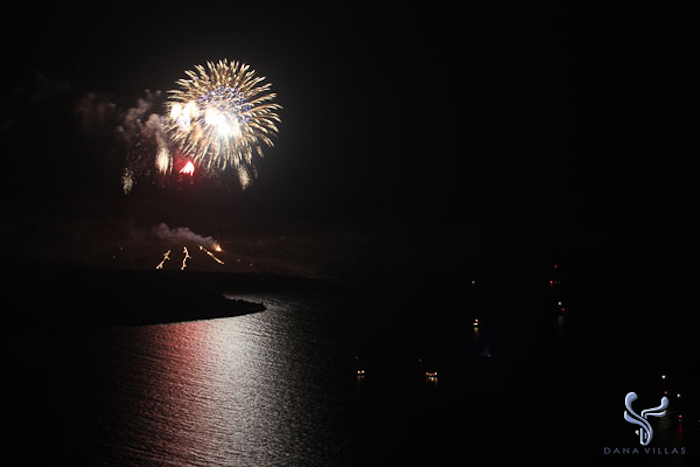 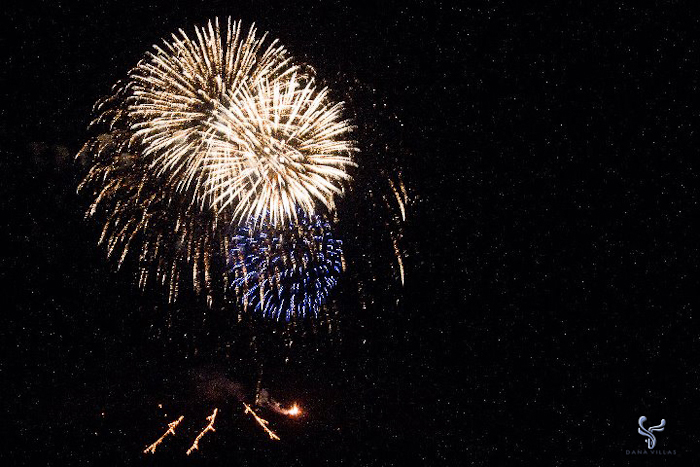 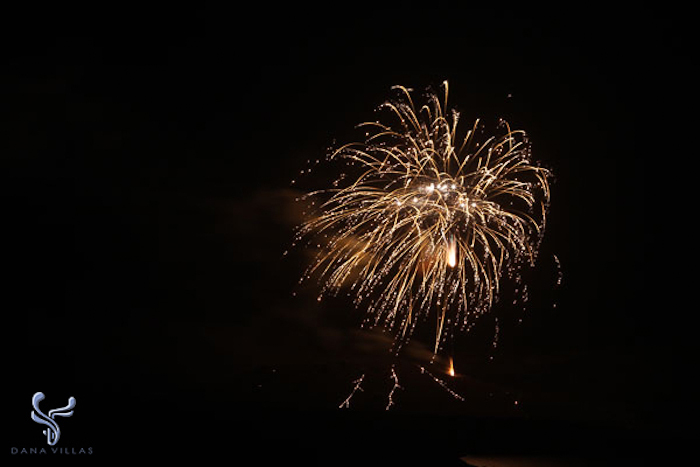 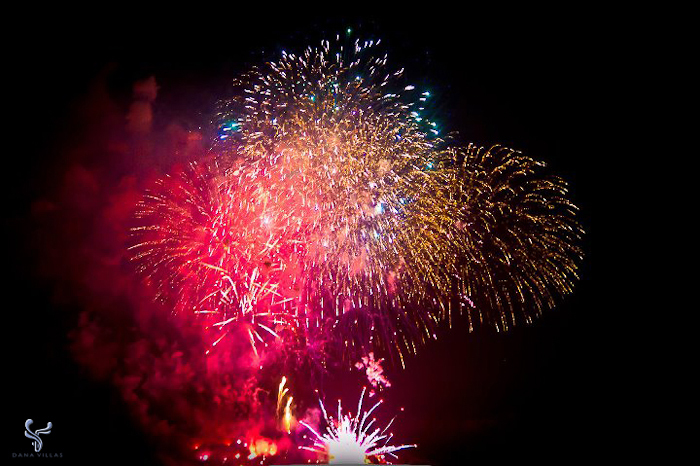 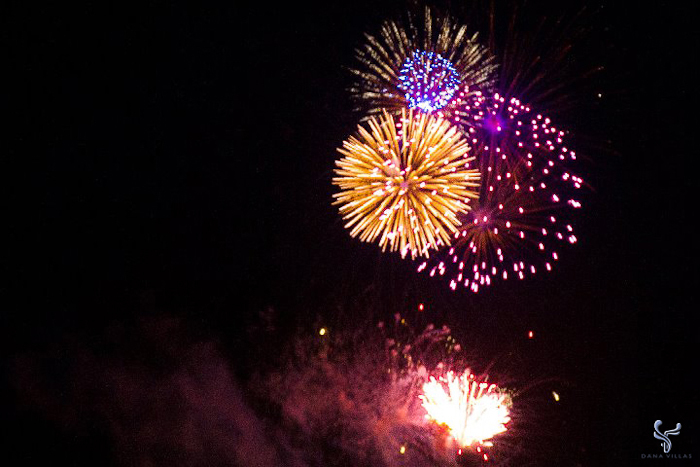 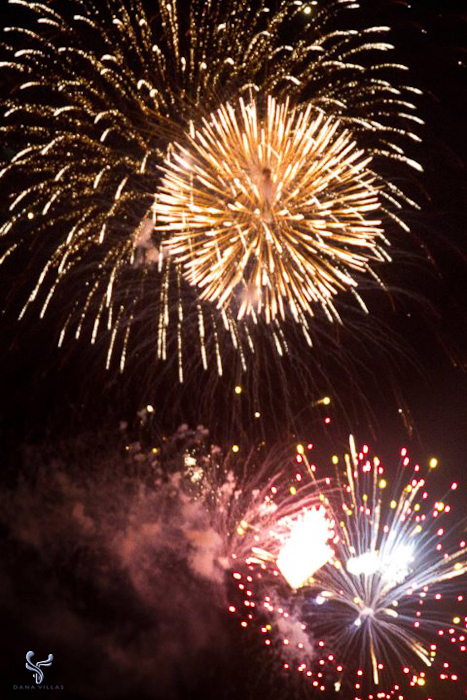 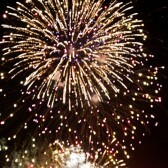 Every August the municipality of Santorini hosts a spectacular fire works display show on the volcanic island in the center of the caldera bay in view of the all the Santorini cliff side settlement. 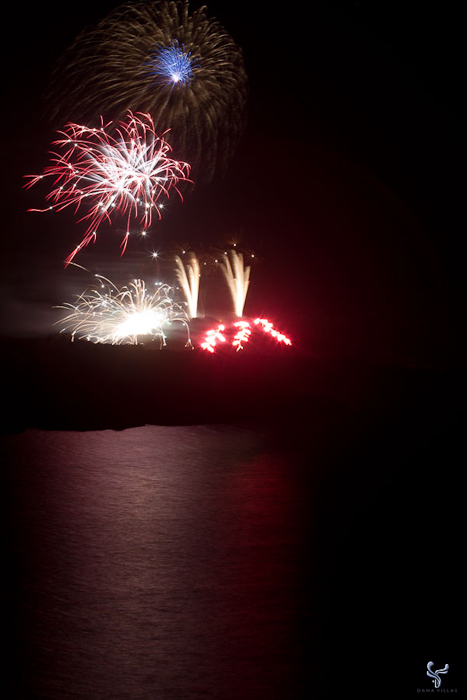 From late in the afternoon before sunset several explosions that simulate the sound of a volcano preparing to erupt commence every 15 minutes to warn the island guests to gather around the many miles of the caldera cliff side areas to have a seat to prepare for the spectacular show to follow after the sunset. 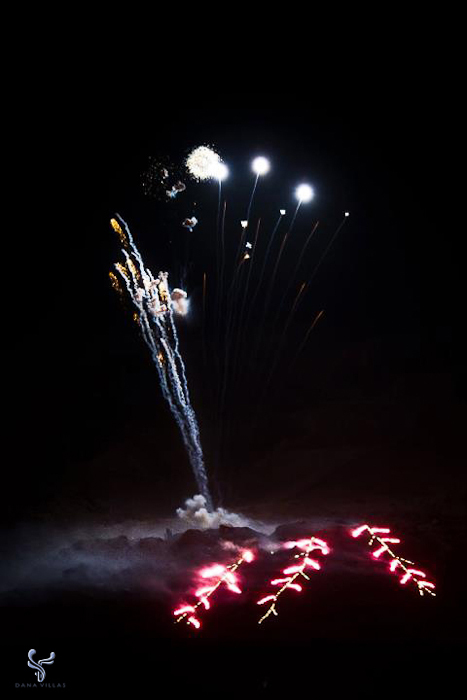 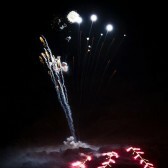 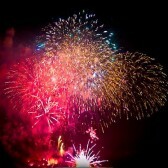 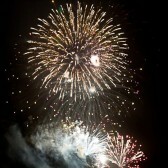 The sun goes down and the first fireworks explode over a lava flow simulation. 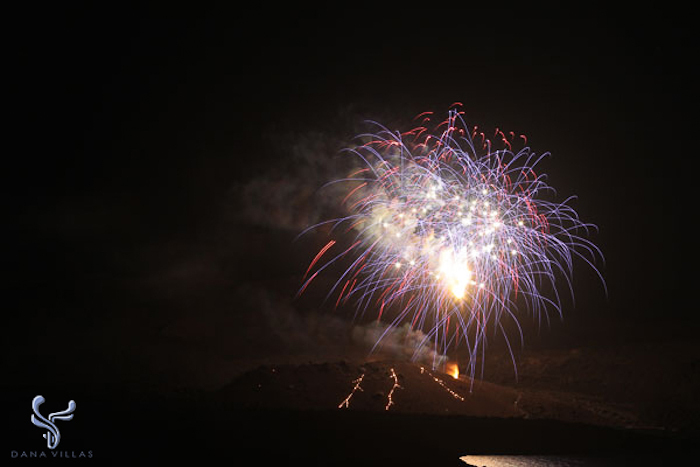 The ships, boats and yachts from all over the Aegean island have gathered around the volcanic island and the cliff side towns are overflown with thousands of guests. 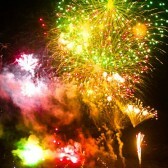 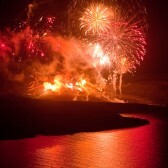 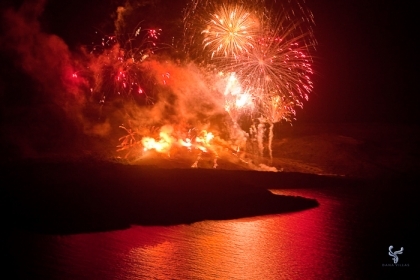 The following hour and a half a spectacular show with enormous firework explosions commences consistent of of 100s of colors, styles and types over the volcanic island in the caldera bay for all the island to see from the Akrotiri area to Fira, Firostefani, Imerovigli and up to Oia. 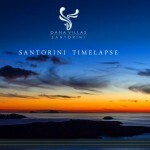 Santorini is shaped a round a natural caldera bay that happens to be at see level with the two Volcanic islands exceeding centrally above the water where the show takes place, around the volcanic caldera bay are the steep high in altitude cliffs which are peaked by the traditional cliff side towns and settlements. the cliffs naturally entrap the explosion sounds bouncing from cliff face to cliff face all round the 85 square mile caldera area. 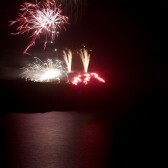 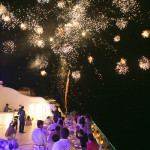 Following are some photos from this spectacular annual Santorini event.